Home » actionfest , asheville , movies , posters » ActionFest 2012 reveals official poster and opening/closing films! 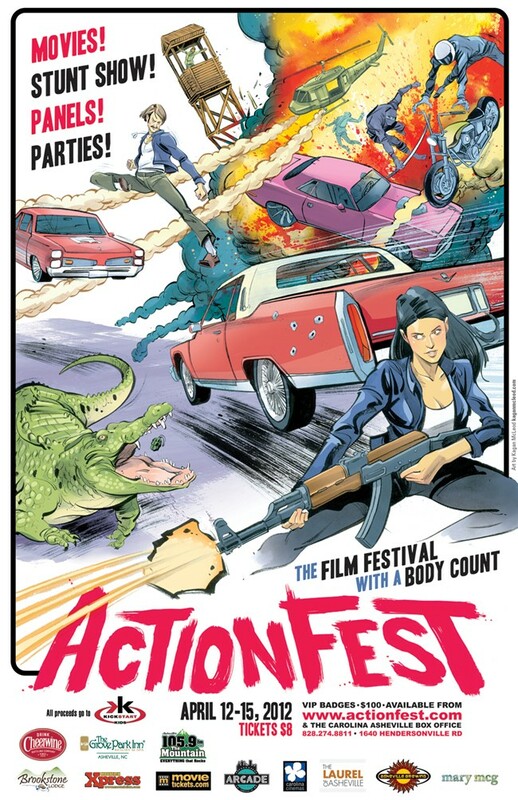 ActionFest 2012 reveals official poster and opening/closing films! The opening night's film is gonna be Solomon Kane, and ActionFest will close out with Wu Xia. I've been looking forward to seeing Solomon Kane for awhile now and I've only heard insanely good stuff about Wu Xia. Punch here for the press release that just went out. And I'll be seeing you at ActionFest! Go there, or perish in flame. It's your choice. But, not really.